ISLAMABAD: Having decided in principle to divest up to 30 per cent stakes and transfer its management, the government on Friday injected another Rs7 billion into the Pakistan International Airlines (PIA) after it was informed that more than 70 per cent of its aircraft were �serviceable�. The decision was taken at a meeting of the Economic Coordination Committee (ECC) of the cabinet chaired by Finance Minister Ishaq Dar before it was cut short by the minister�s appointment with Prime Minister Nawaz Sharif. The meeting decided to provide Rs7bn to the national carrier to meet its international obligations and take up a restructuring plan at its next meeting although a detailed presentation was given to it on a proposed turnaround programme having a price tag of about Rs16bn. The PIA Turnaround Strategy approved by its board of management and presented to the ECC recommended �immediate induction of 10 fuel-efficient new generation of aircraft, either Boeing737NG of the United States or Airbus320 from France, on dry lease�, according to official documents about the meeting. The PIA board did not advocate purchasing new aircraft. �The induction of ten new generation aircraft will generate an annual revenue of Rs36bn at 85 per cent seat factor and at 12.5 hours fleet utilisation per day,� the managing director of PIA told the meeting. The airline management also proposed refurbishment of the �777 fleet to the highest level� and use the aircraft only for long-haul flights, particularly to the United Kingdom, United States, Europe and Canada. The ECC was informed that international liabilities had reached a �credit hold situation� where fuel filling and other services were no longer being provided to PIA at foreign destinations. The meeting agreed to provide Rs7bn to the airline for clearance of all original equipment manufacturer-related dues to enable it to come out of the �credit hold� situation. The PIA management claimed that with an upfront investment of about Rs16bn, the airline could be taken to a position where it could attract a strategic investor willing to buy 25-30 per cent stakes and along with management control. A plan for restructuring the organisation into a number of small business units was also presented at the meeting. 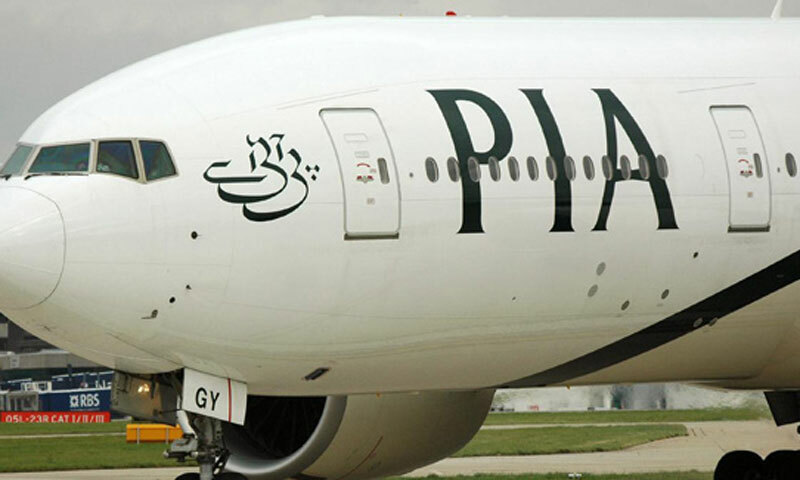 Out of the 34 aircraft in PIA�s fleet, 24 are serviceable. It operates flights to 24 domestic destinations and has 76 per cent market share. It also operates flights to 34 international destinations and has a market share of 39 per cent. The overall market share of PIA stands at 48 per cent while the remaining 52 per cent is shared by domestic and international airlines. The average age of PIA aircraft is 16 years while total number of its employees stands at about 18,800. The aircraft-to-employee ratio currently stands at 552 compared to global average ratio of 120, suggesting that the staff strength is abnormally high.